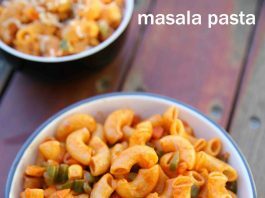 masala pasta recipe | indian style pasta | indian pasta recipes with detailed photo and video recipe. 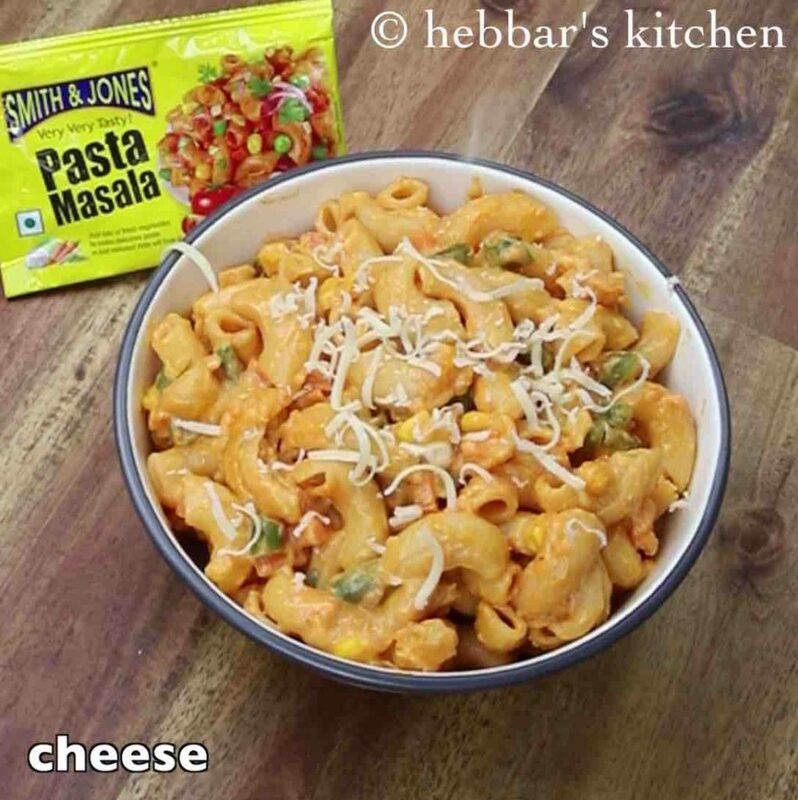 an indian style pasta or popularly known as desi pasta recipe is prepared with penne pasta with loads of spices to suit the indian taste buds. it is often prepared without cheese as compared to the traditional italian pasta recipes. 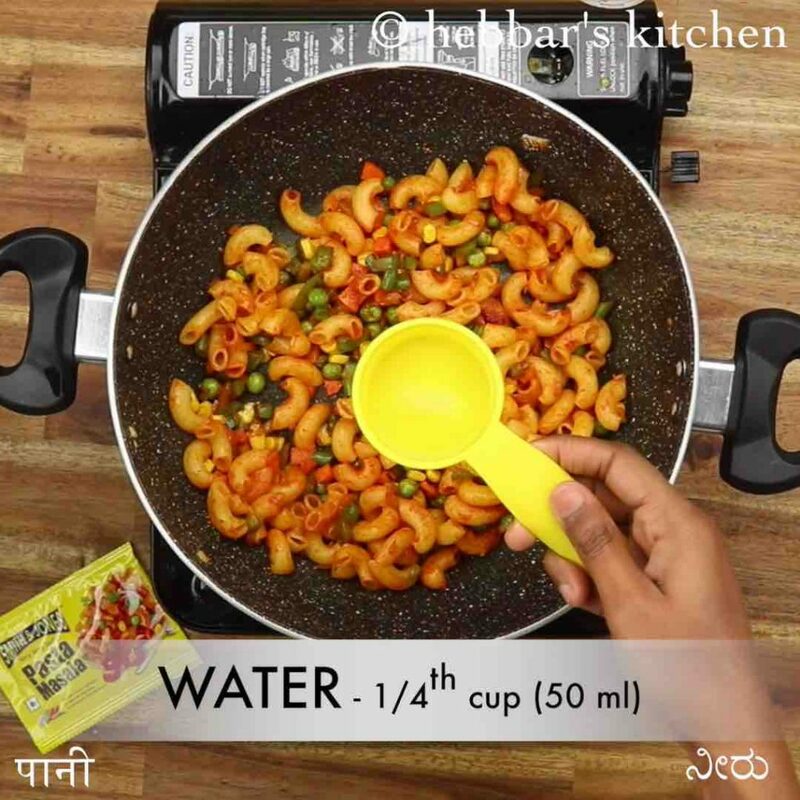 moreover the indian style pasta recipe, does not require any ready pasta sauce recipe and can be prepared with tomato sauce and tomato puree. 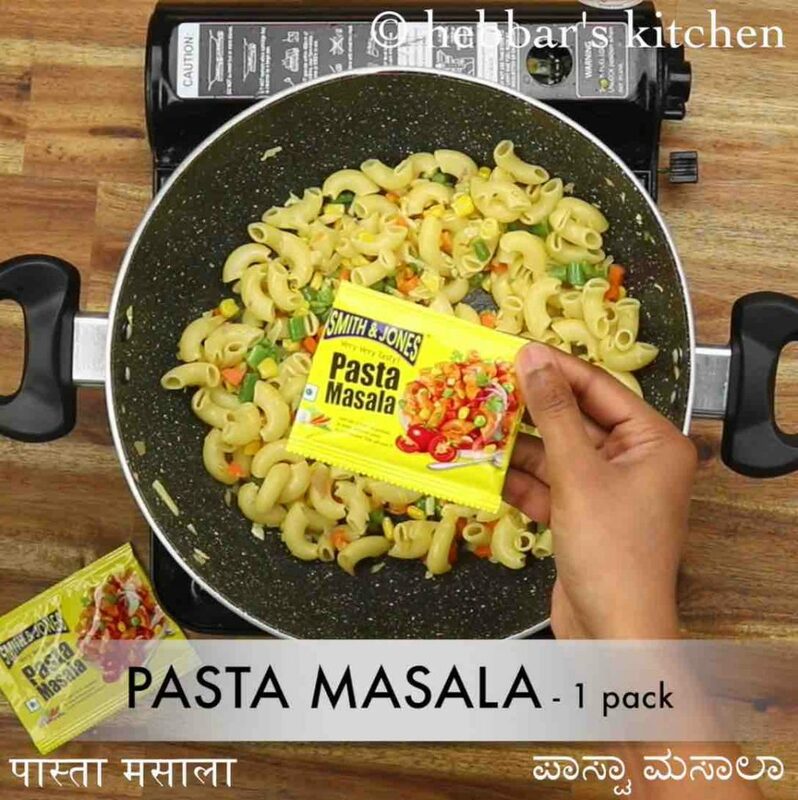 masala pasta recipe | indian style pasta | indian pasta recipes with step by step photo and video recipe. 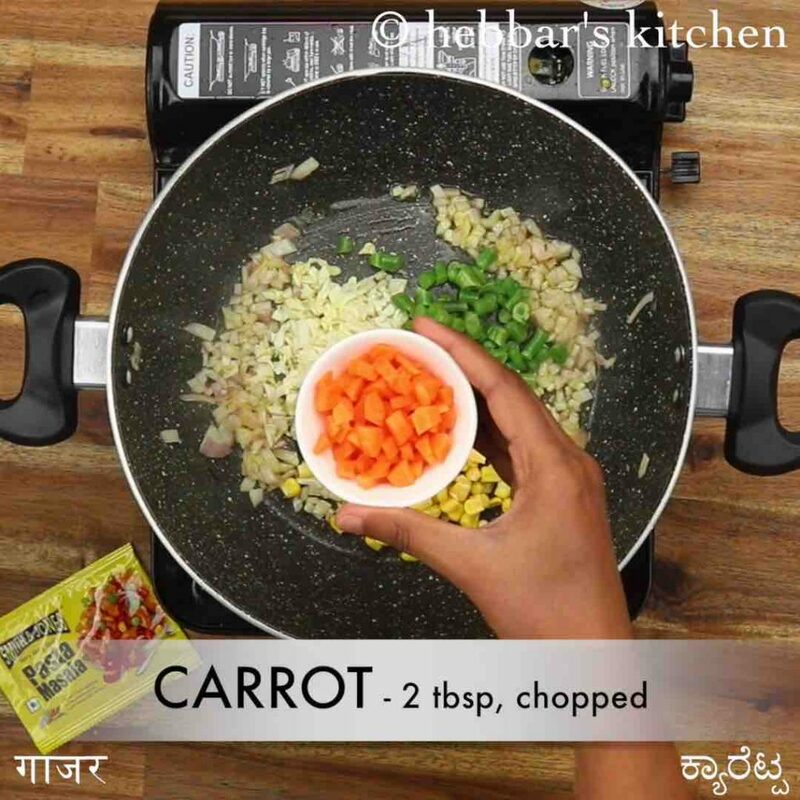 a unique and fusion recipe between 2 popular cuisine i.e indian cuisine and italian cuisine. 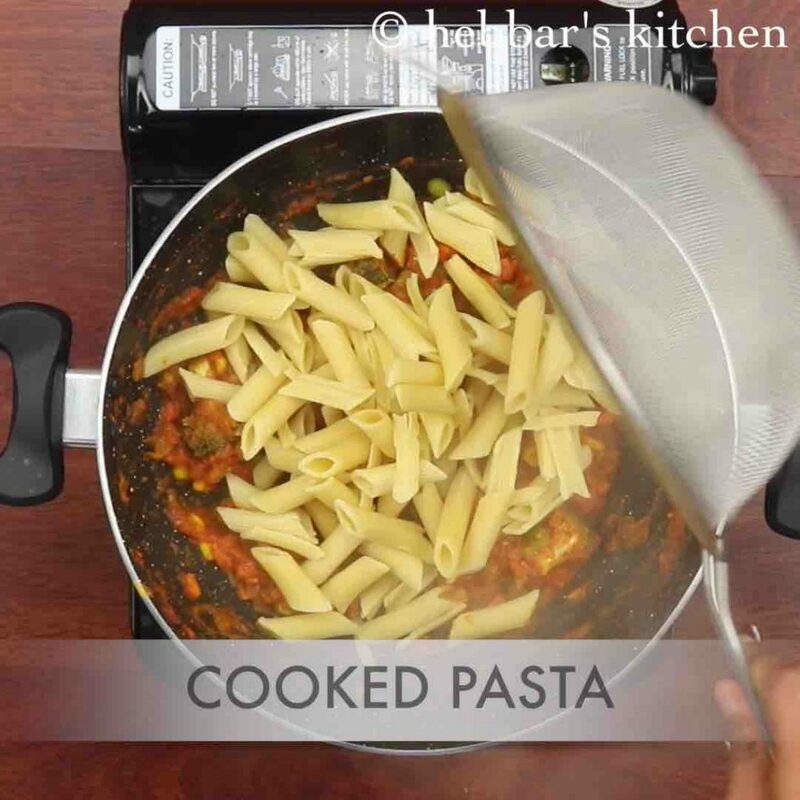 basically a desi or spicy twist to the authentic italian pasta recipe to meet the taste buds of spice lovers. it is an ideal lunch box / breakfast recipe or kids recipe too. 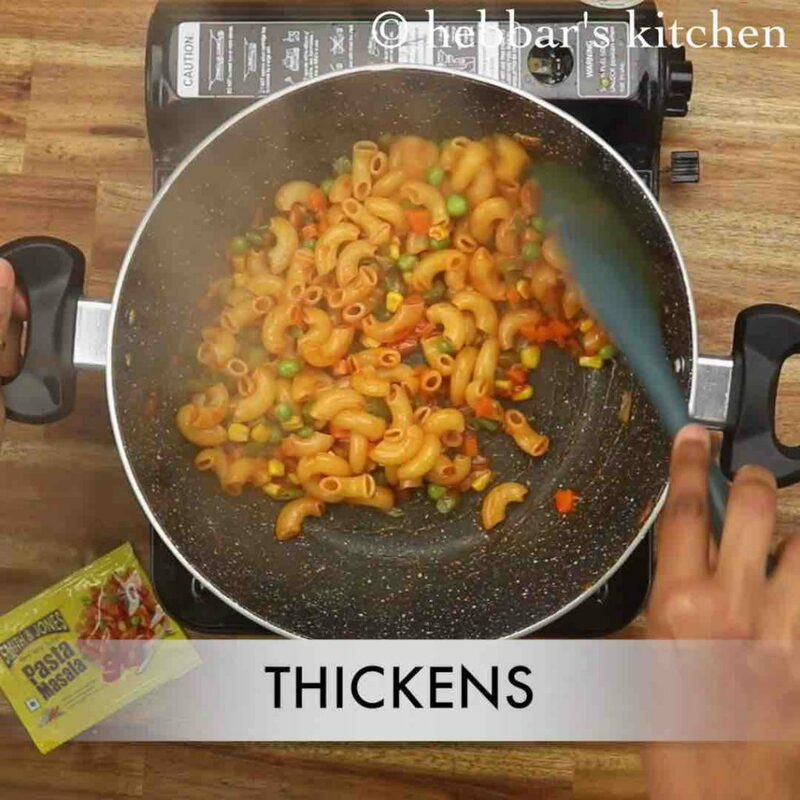 the recipe of indian style pasta masala is completely open ended and can be experimented with choice of veggies and sauces. 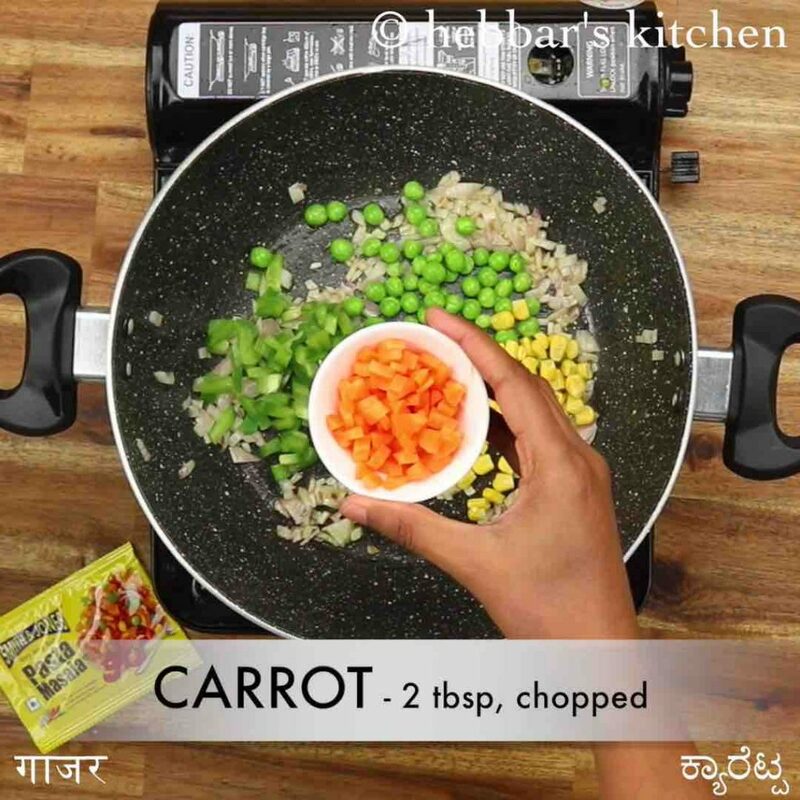 for example the masala pasta recipe can be prepared with veggies like carrots, beans, peas, broccoli, snow pea and even sliced mushrooms. 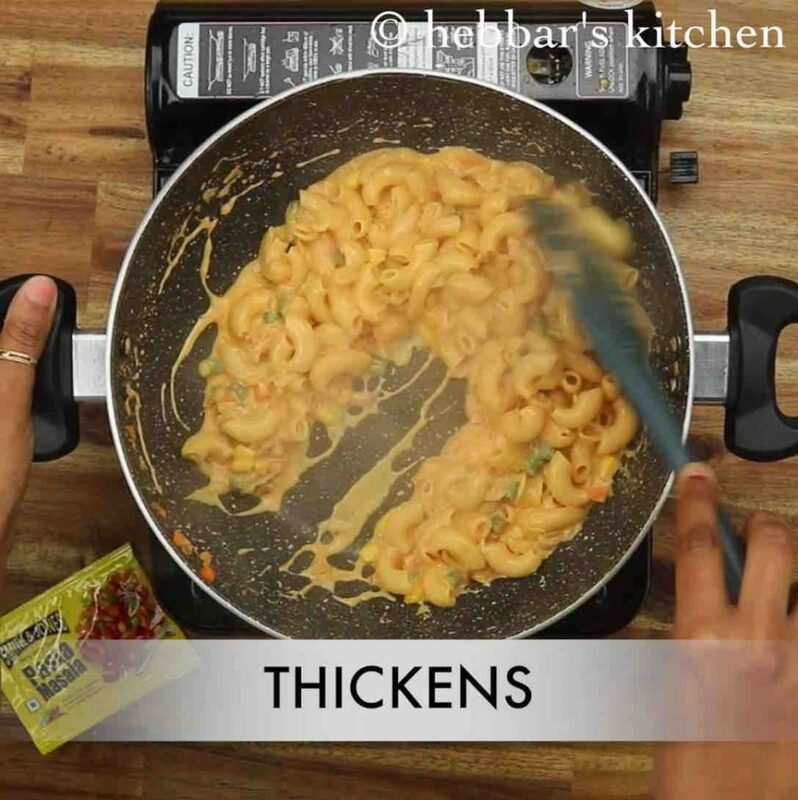 in addition with respect to sauces, indian style pasta can take plain tomato sauce, hot and sweet tomato ketchup, and even any choice of mayo recipes. i personally like the combination of mayo and plain tomato sauce which makes it tangy and creamy. 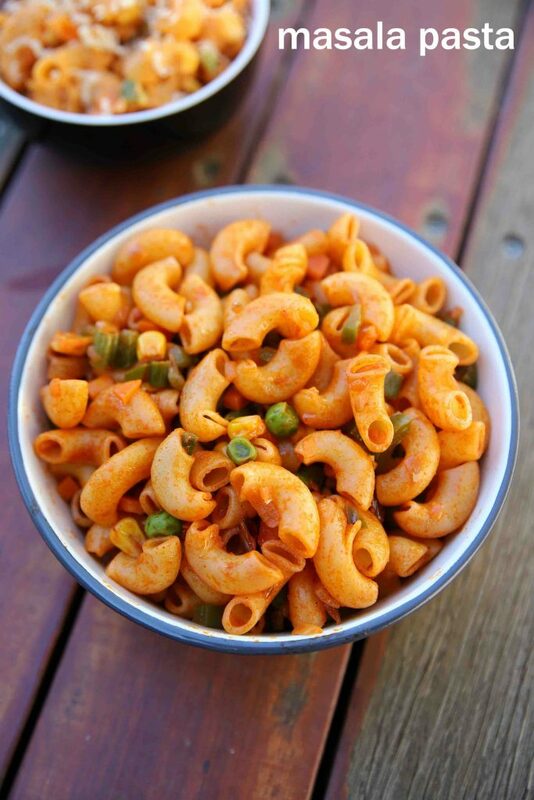 i even sometime add chilli sauce to make it tangy and spicy combination masala pasta recipe. finally coming to spices, i have added red chilli powder, garam masala and some turmeric. it can be further extended with dry spices like cinnamon and bay leafs for more flavours. 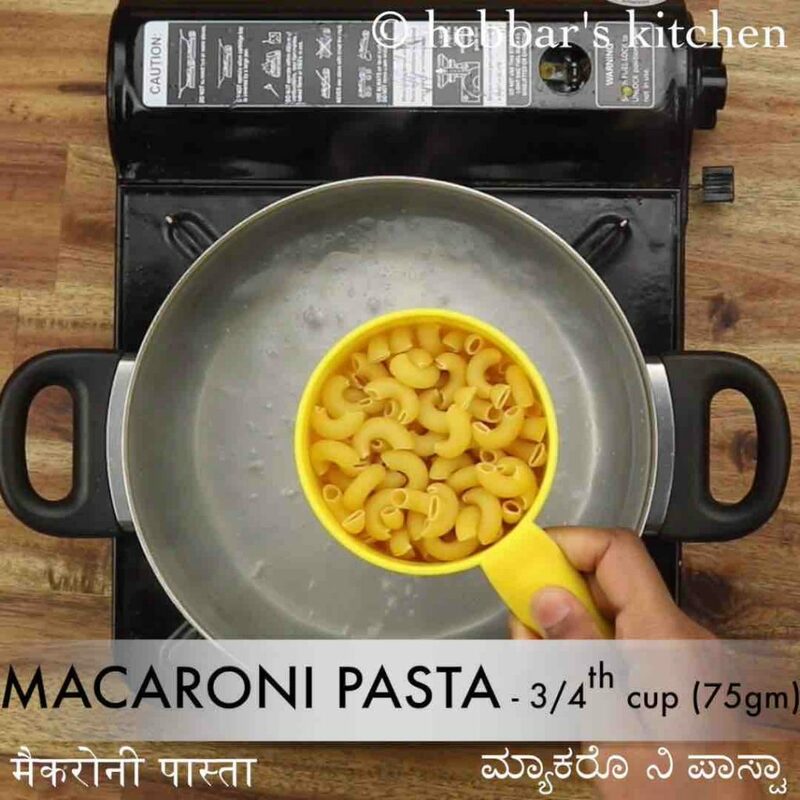 while the recipe for masala pasta recipe is extremely simple, yet i would like to share some tips and recommendations for a perfect spicy indian pasta recipes. 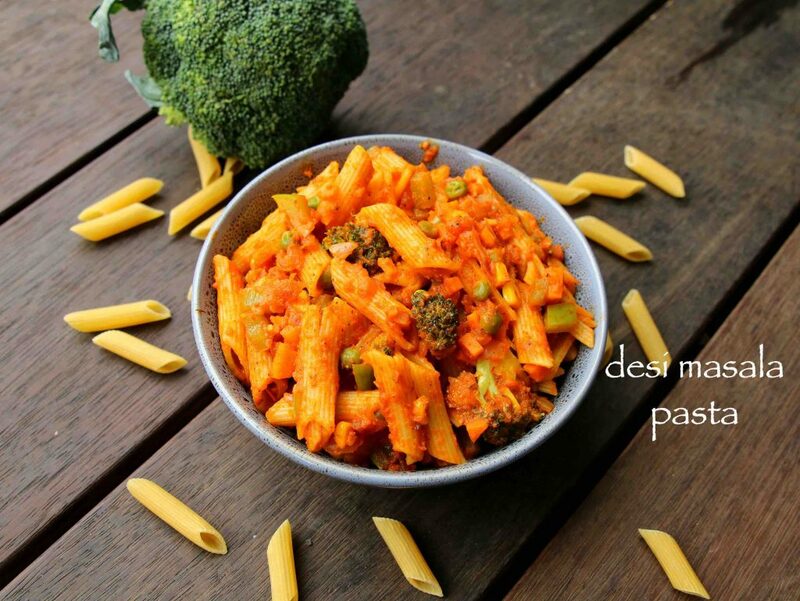 firstly, use pasta of your choice like penne, macaroni, farfalle, pipe or spaghetti. 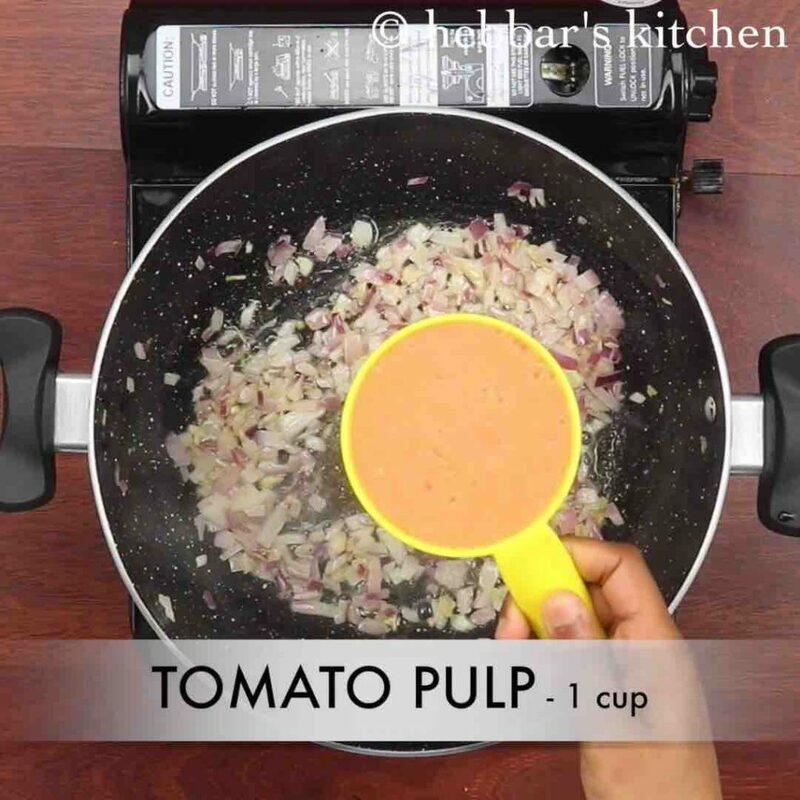 also i prefer to add tomato pulp, however you can also use canned tomato pulp or red pasta sauce. finally, adjust the amount of chilli powder depending on spice level. 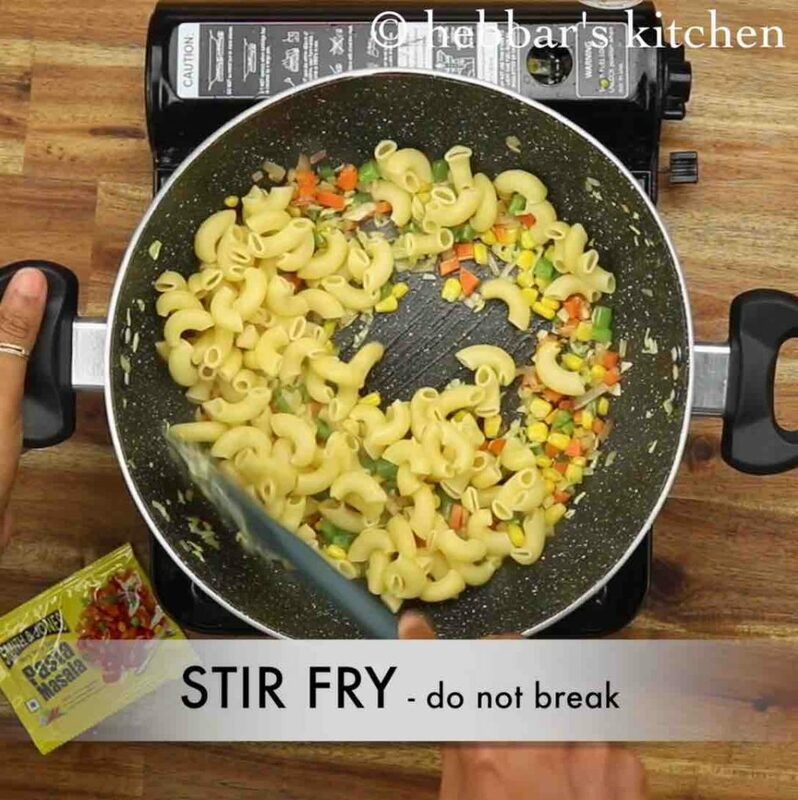 skip the chilli powder if serving for kids. 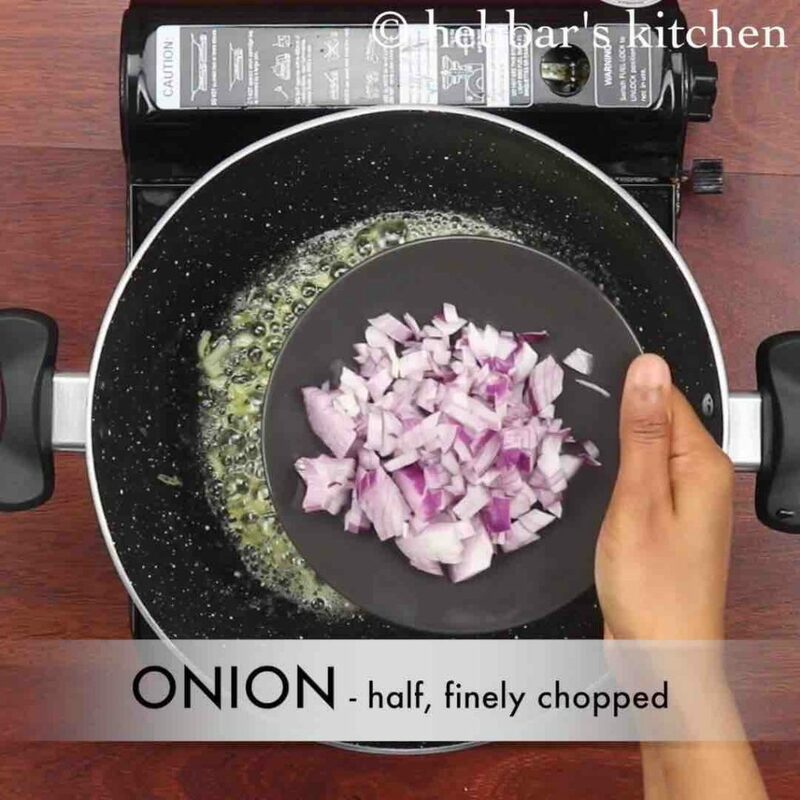 further saute ½ onion till they turn soft. additionally add 1 cup tomato pulp and saute well. 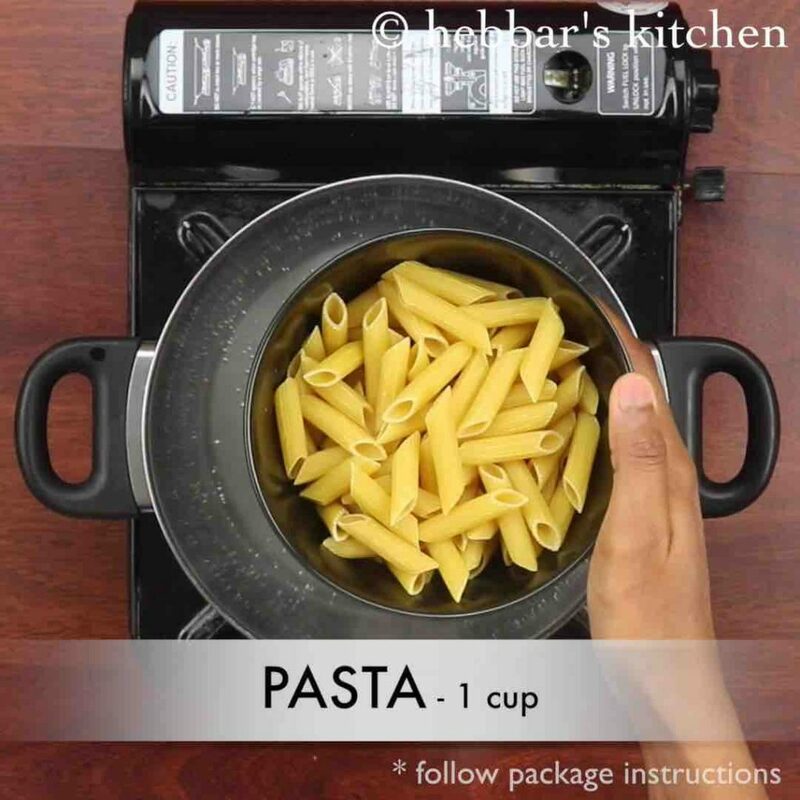 firstly, in a large vessel boil enough water and add 1 cup penne pasta and ½ tsp salt. 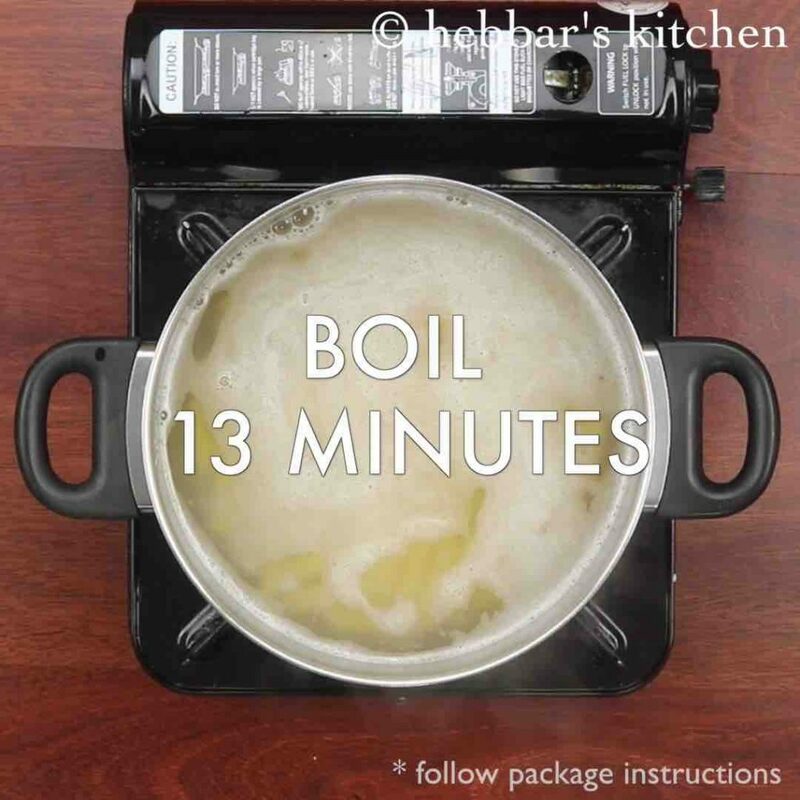 stir well and boil for 13 minutes or as mentioned in package. drain off the water once pasta turns al dente. keep aside. 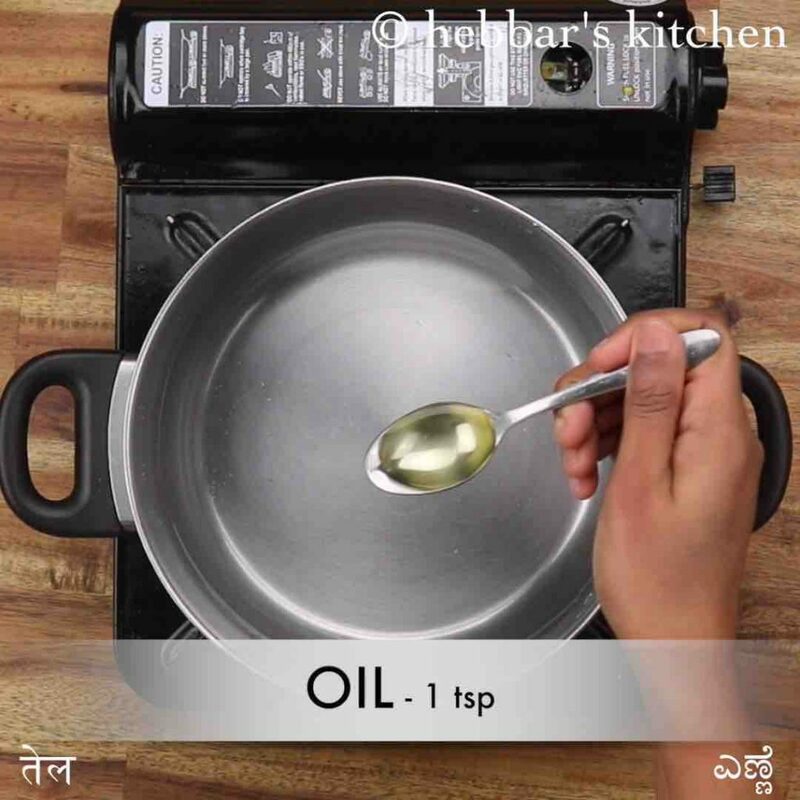 now in a large kadai heat 1 tsp oil and 1 tsp butter. 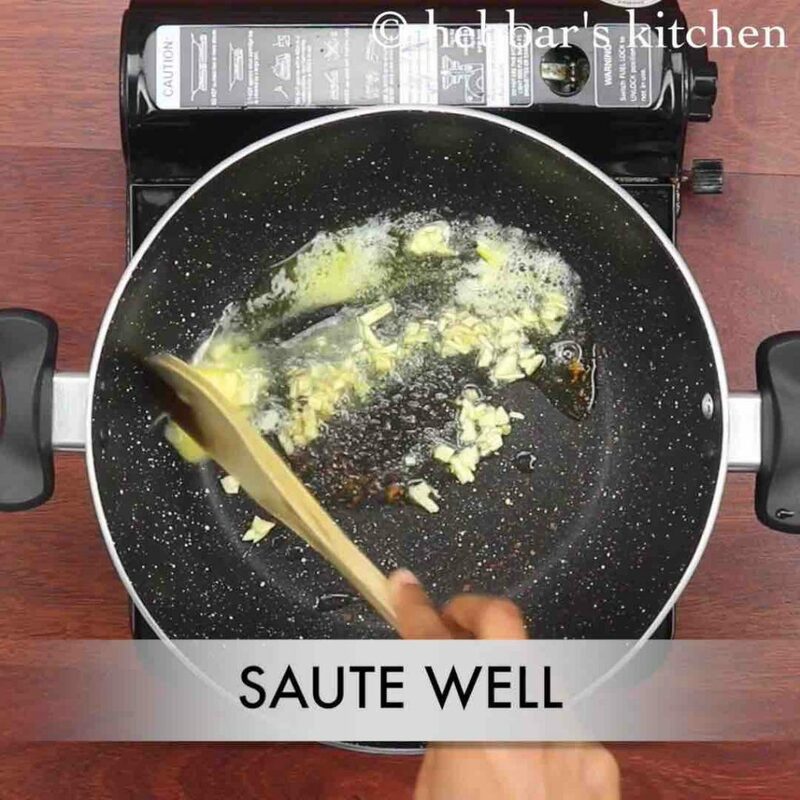 saute in 1 inch ginger and 2 clove garlic. 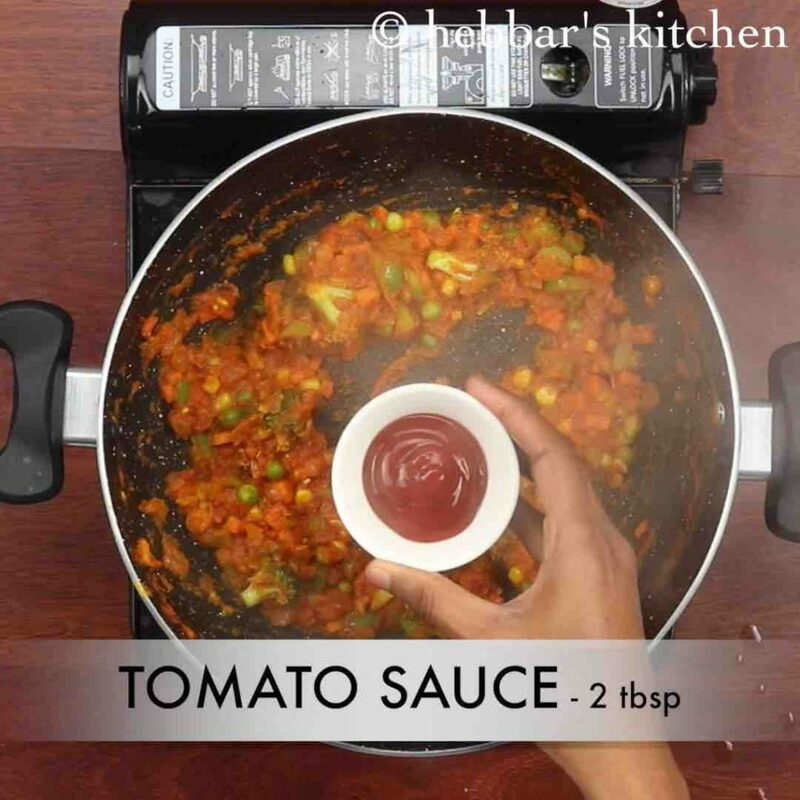 additionally add 1 cup tomato pulp and saute well. 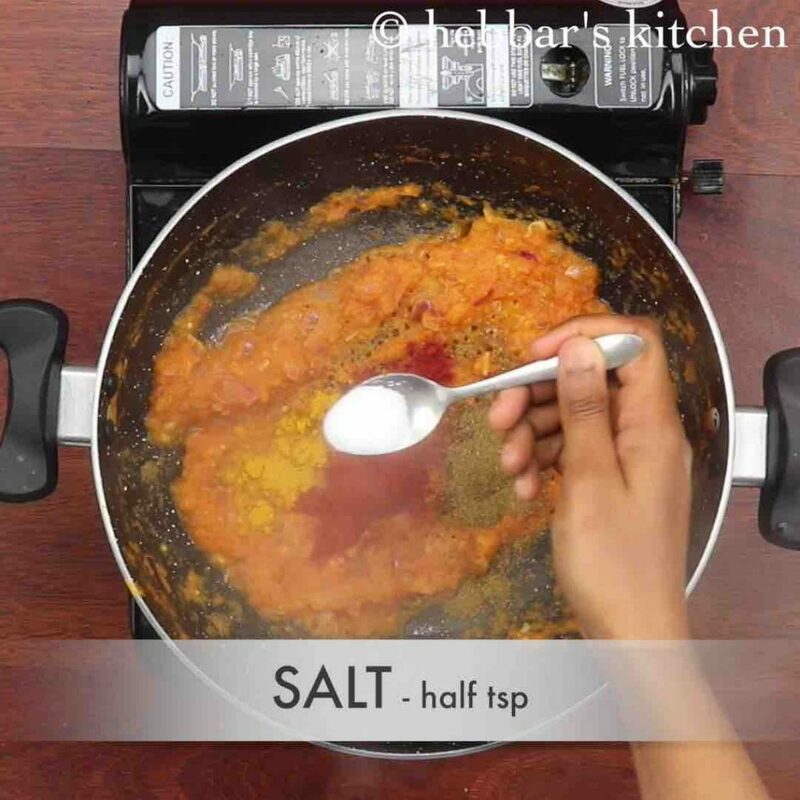 to prepare tomato pulp, blend 3 tomatoes in mixi to form smooth puree. 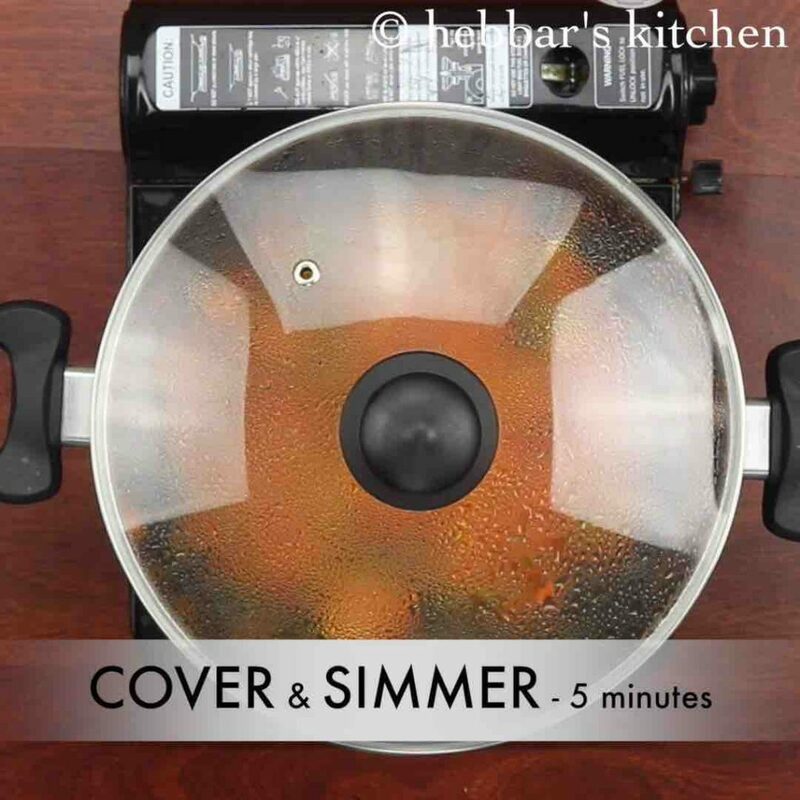 cover and simmer for 5 minutes or till vegetables get cooked well yet retain their shape. 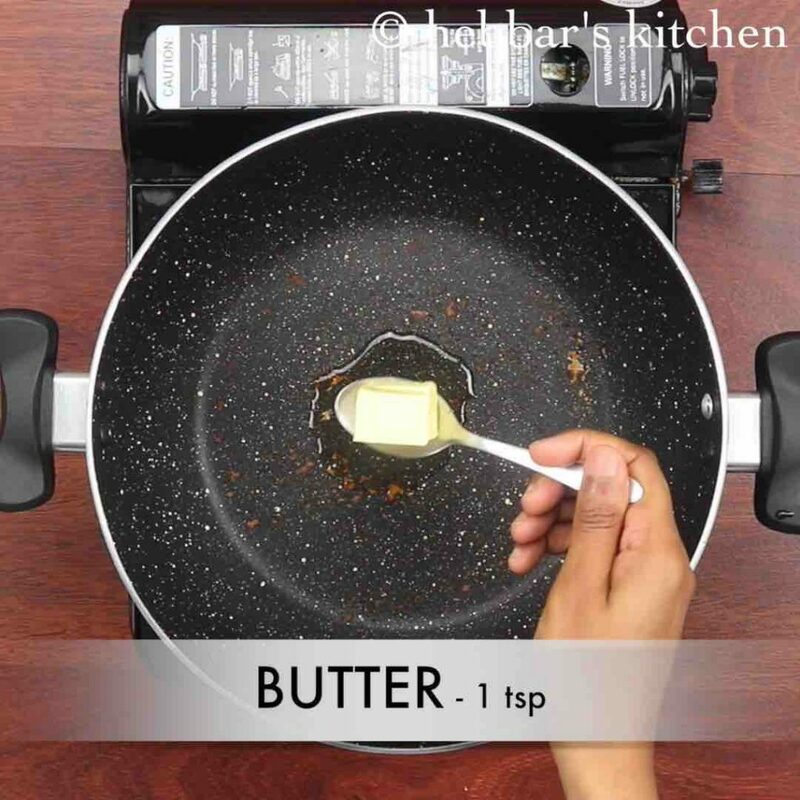 firstly, boil 4 cup water with 1 tsp oil and ½ tsp salt. 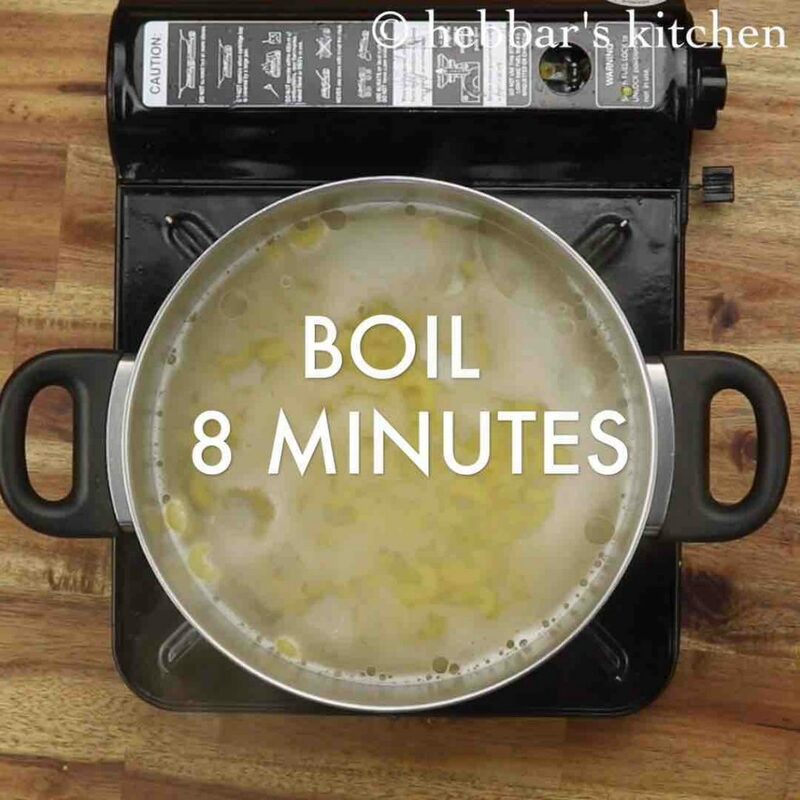 boil for 8 minutes or until the pasta turns al dente. refer package instructions for cooking time. 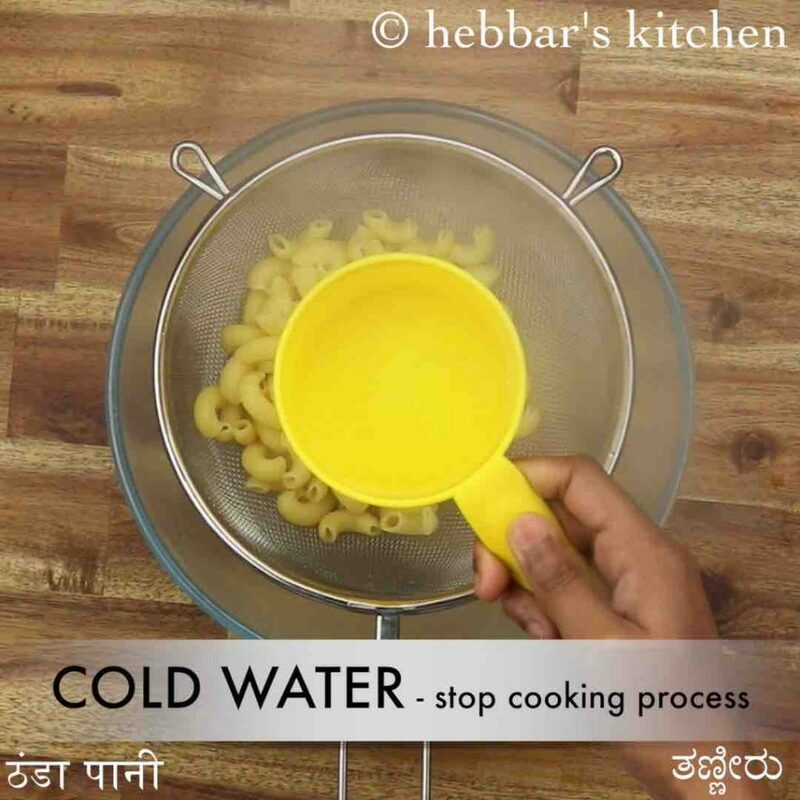 drain off the cooked pasta and pour 1 cup cold water to stop the cooking process. 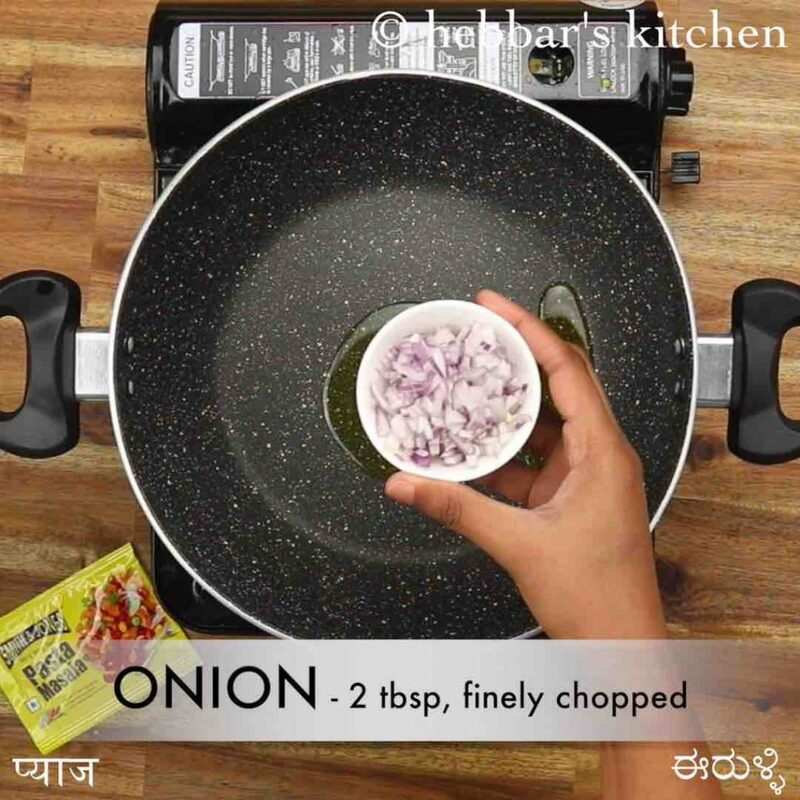 now in a large kadai heat 2 tbsp oil and saute 2 tbsp onion on high flame. 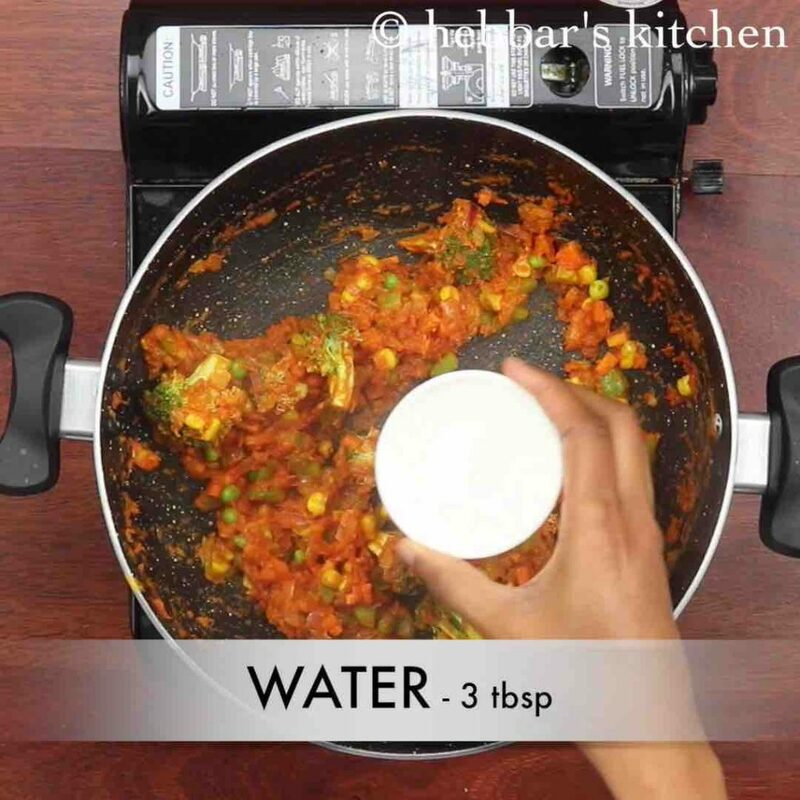 also saute 2 tbsp capsicum, 2 tbsp peas, 2 tbsp sweet corn, 2 tbsp carrot and 2 tbsp beans. 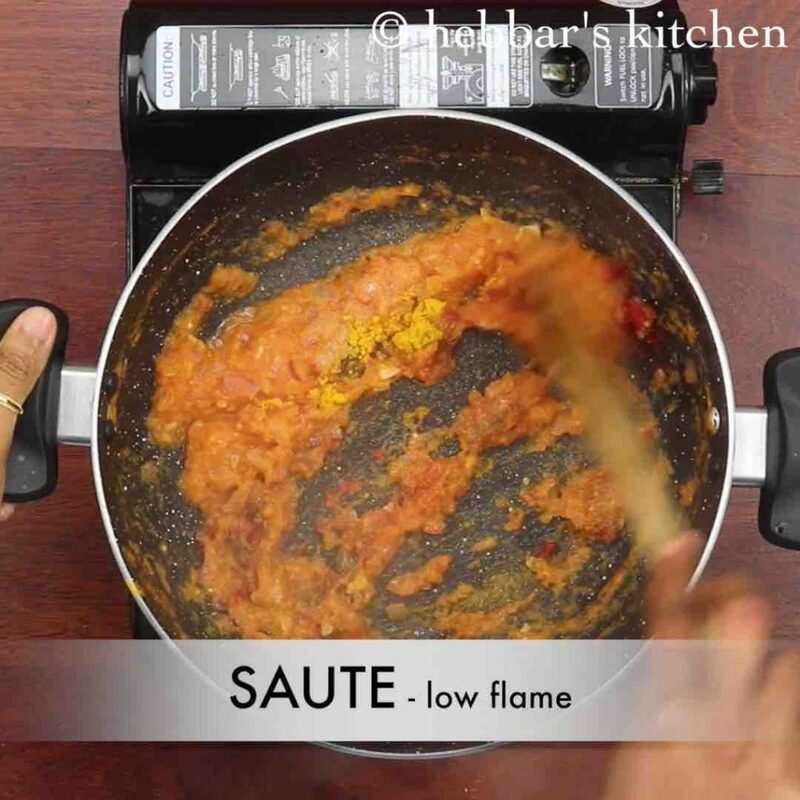 saute on high flame without overcooking vegetables. further add cooked pasta and give a mix coating oil well. 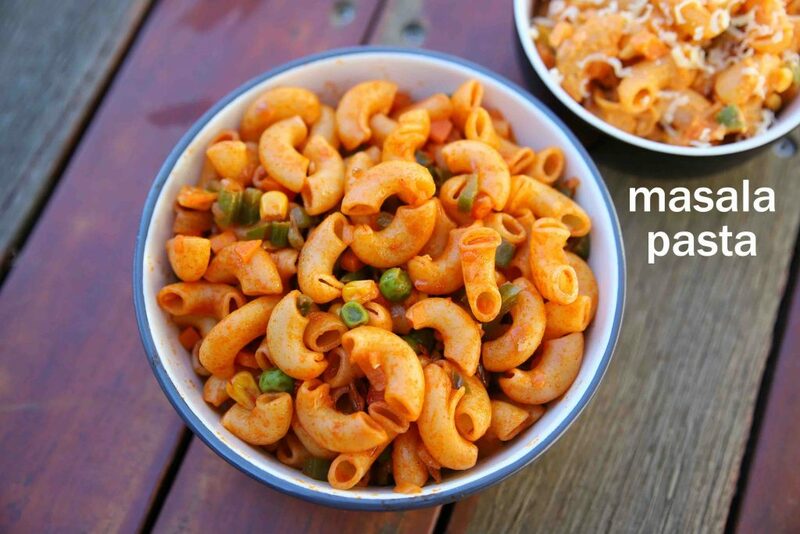 additionally add 1 pack of smith & jones pasta masala and mix well. now add ¼ cup (50 ml) water and mix well. 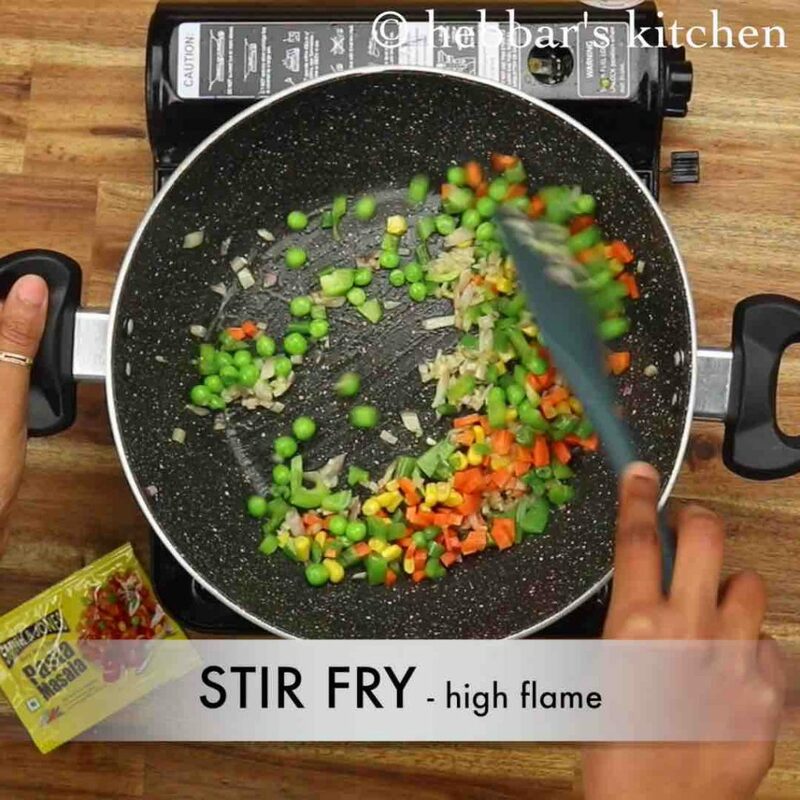 stir fry for 2 minutes or until water is absorbed completely. 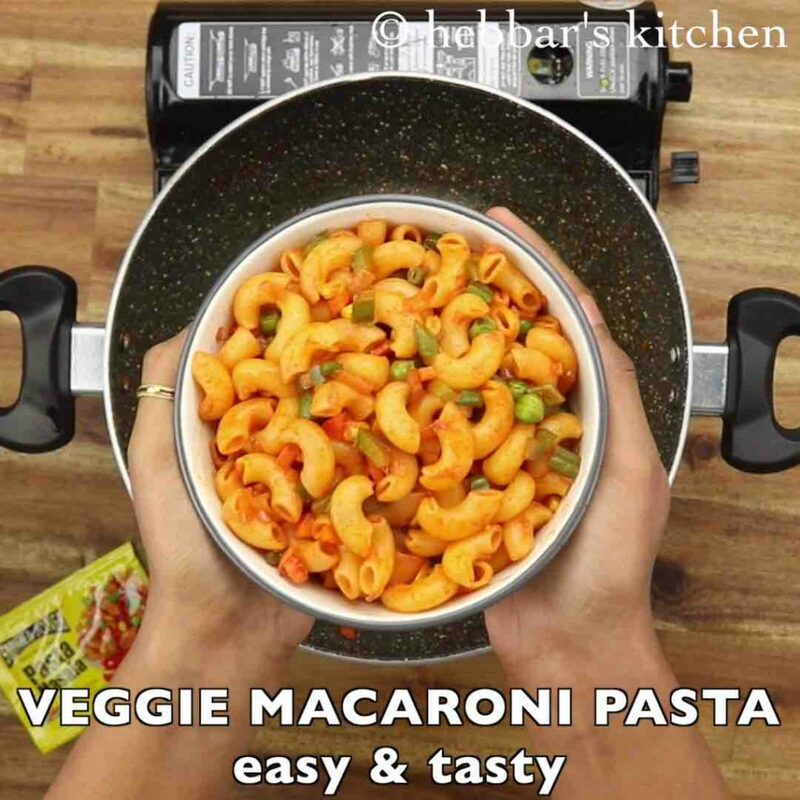 finally, enjoy veggie macaroni pasta hot or pack to your lunch box. 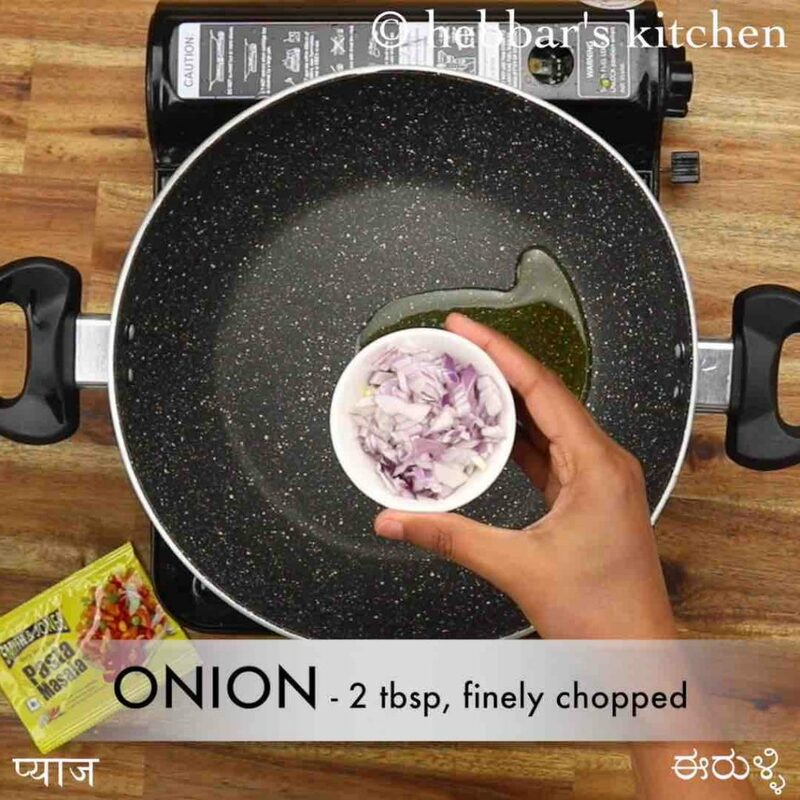 firstly, in a large kadai heat 2 tbsp oil and saute 2 tbsp onion on high flame. 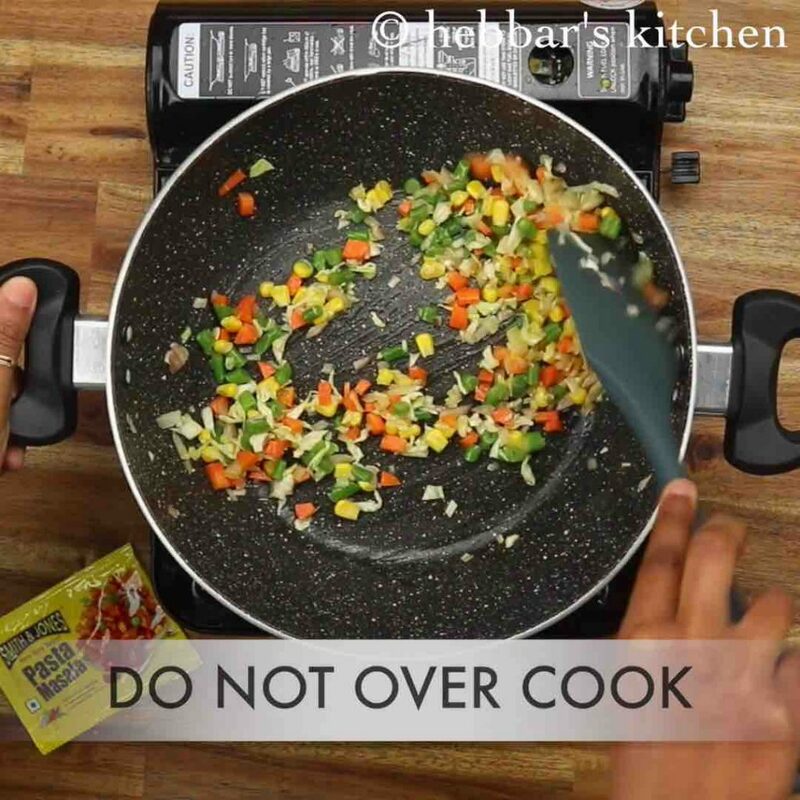 also saute 2 tbsp cabbage, 2 tbsp beans, 2 tbsp sweet corn and 2 tbsp carrot. additionally, add 1 pack of smith & jones pasta masala and mix well. 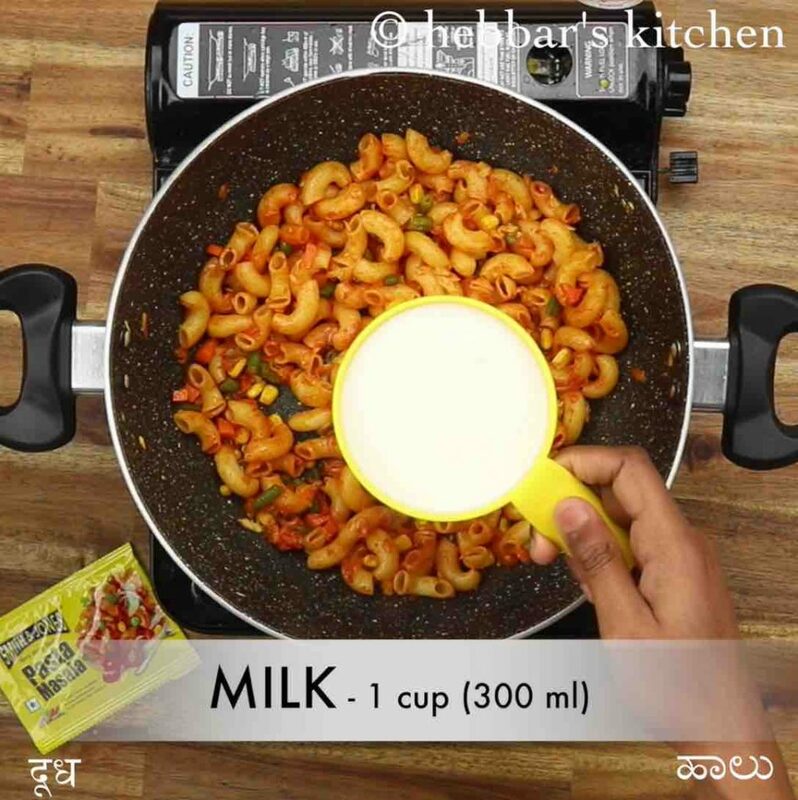 now add 1 cup (300 ml) milk and mix well. 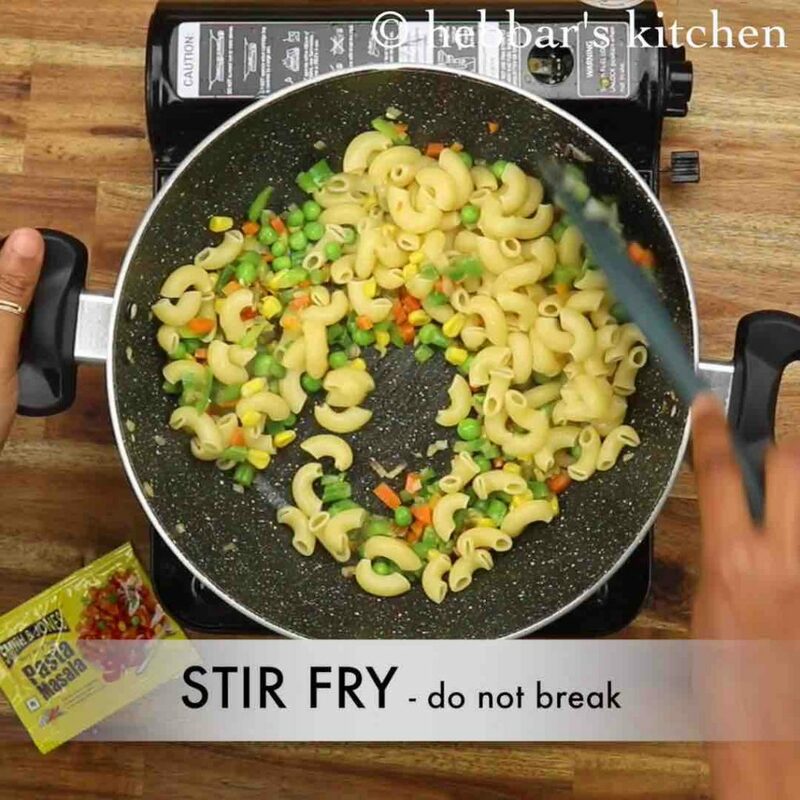 stir fry for 3 minutes or until milk is absorbed completely. finally, enjoy pink cheesy pasta hot garnished with cheese. 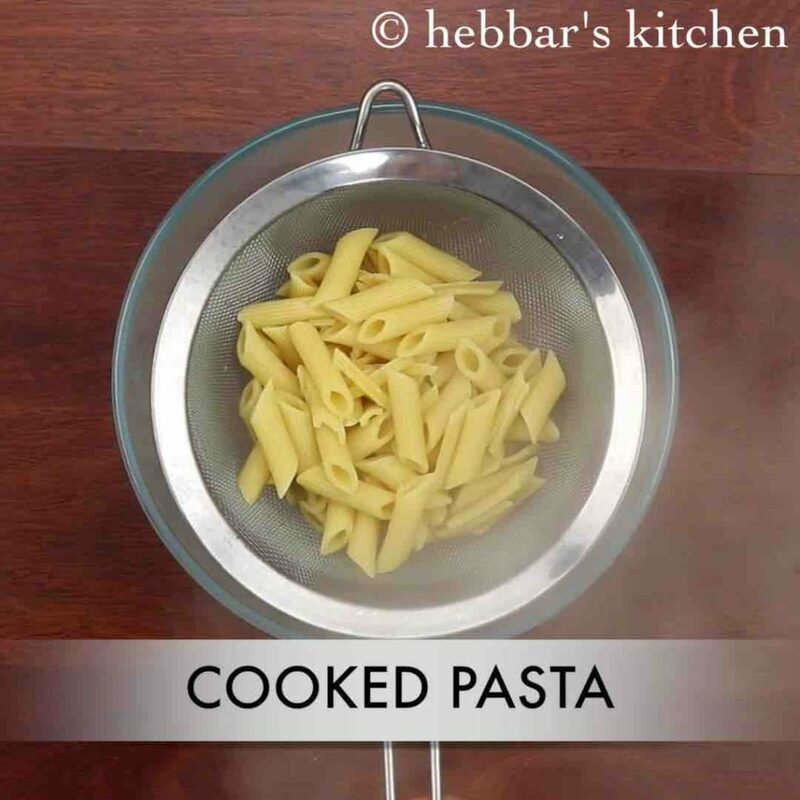 firstly, in a boil the pasta till it turns soft and do not over cook as it turns sticky. 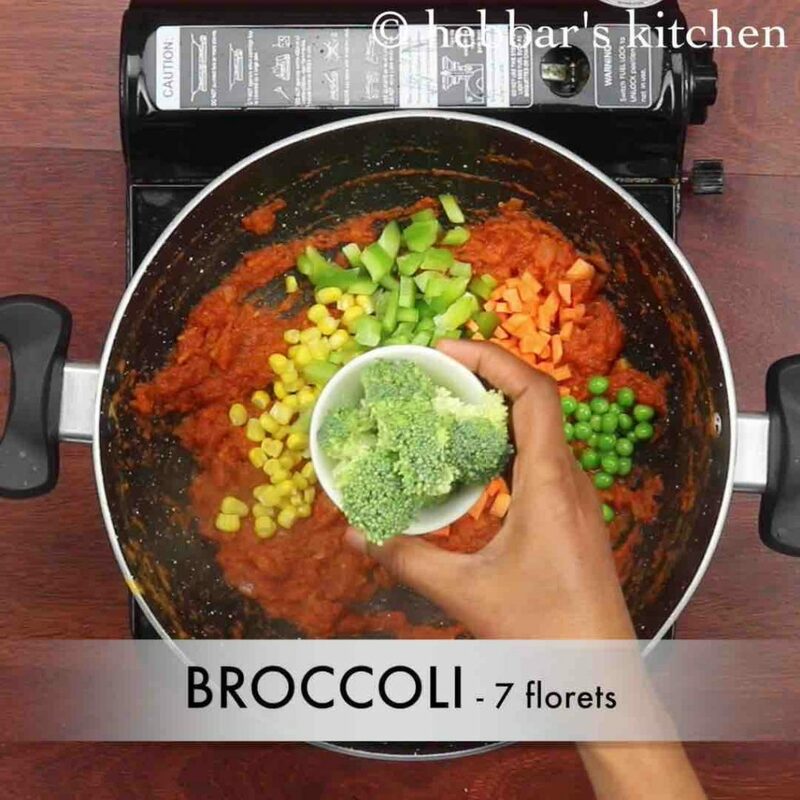 also add vegetables of your choice to make it more healthy and nutritious. 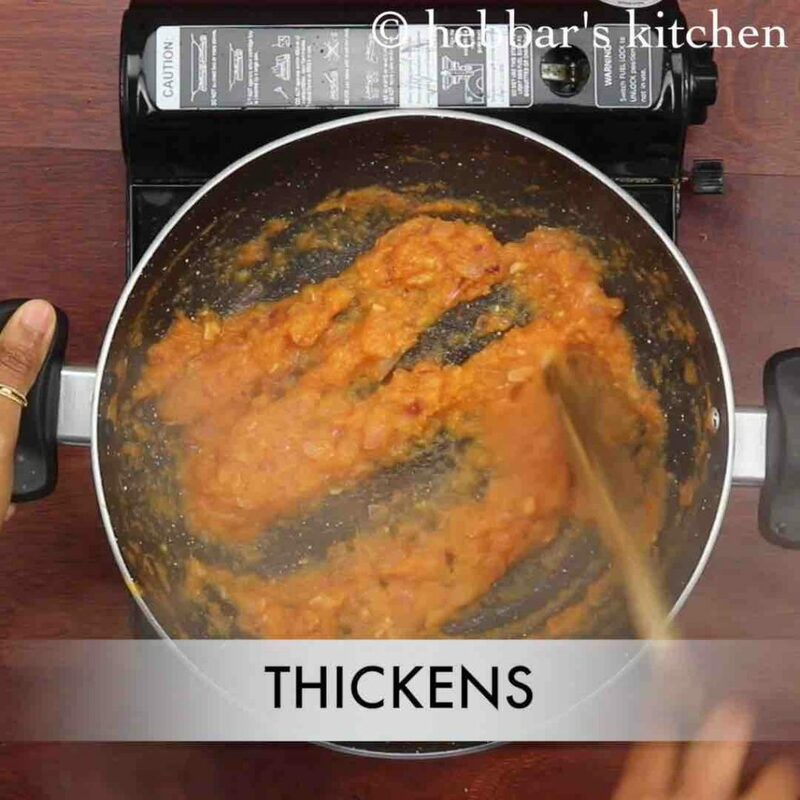 additionally, use pasta sauce if you are looking to hasten the process along with indina spices. 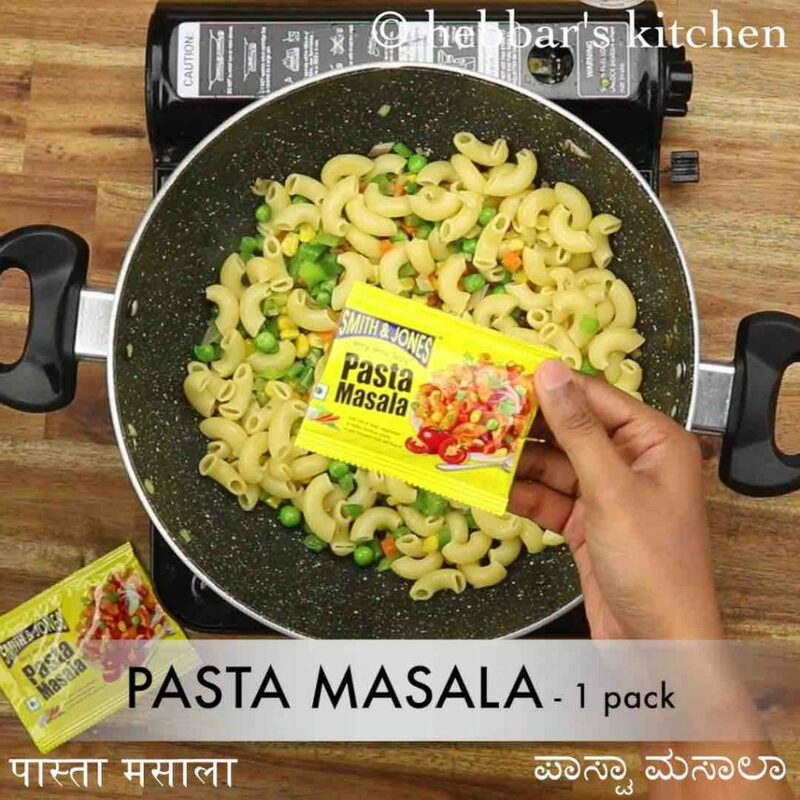 finally, masala pasta indian style recipe taste great when served hot. where did u use garam masala? while adding turmeric, chilli powder i added garam masala..